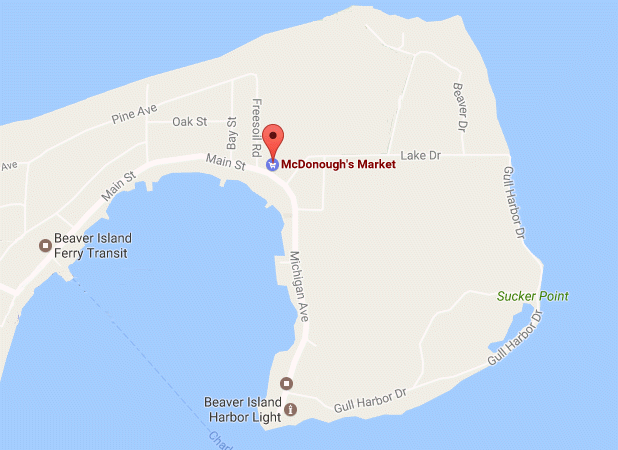 McDonough's Market has a history of being a part of and serving the Beaver Island community since 1933. We look forward to serving the needs of our community into the future. May 9, 1901- Purchased by Wilbur F. Gill for one hundred ($100.00) dollars. May 15, 1915- Sold by Beaver Island Lumber Company to John Grill for eight hundred ($800.00) dollars. 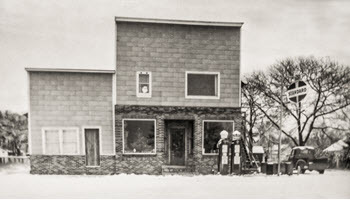 May 6, 1933- Sold by John Grill to Lloyd and Eva McDonough for $3,542.46, which included property and inventory. 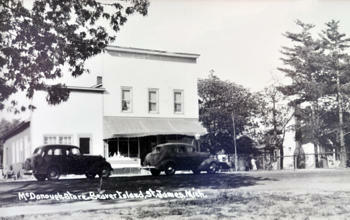 The store was built by Gill and used by the Beaver Island Lumber Company as a company store. The room on the front right-hand side was used as an office for the company. 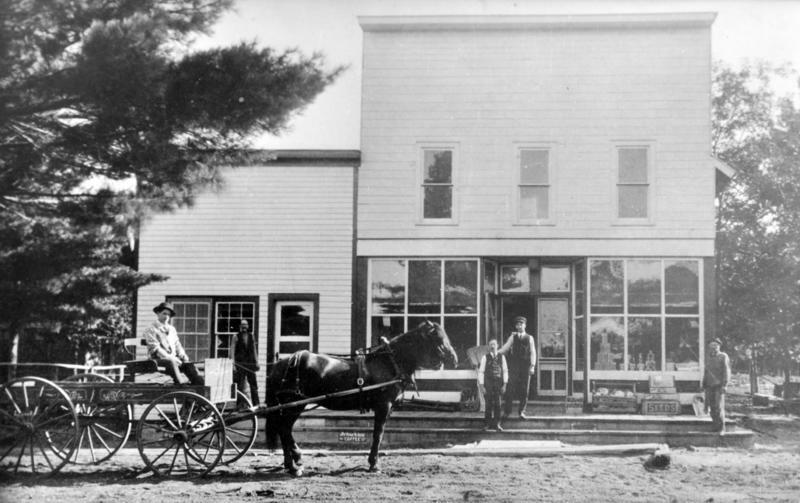 In later years it was used as a beauty shop, sandwich shop and ice cream stand. 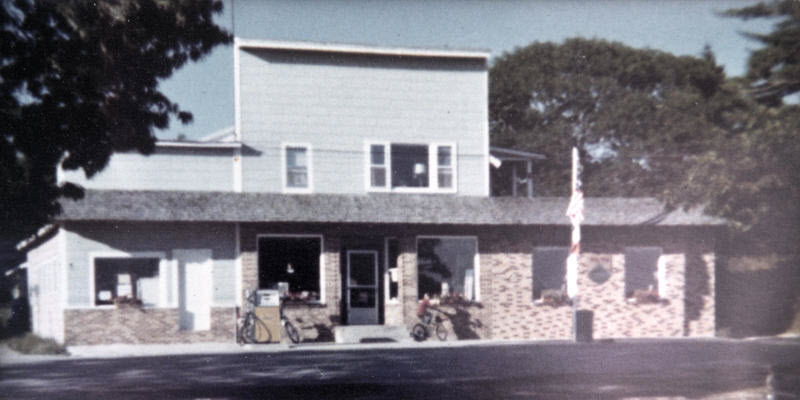 In the spring of 1955 we changed the store into a self-service except for the meat counter. It is the same today. January 1978- Old shelving torn out. Crew from Spartan Store Development and Non-foods came and set up shelving. Bud was in the store since September, 1953 and Skip since November, 1954.